SpyBot-S&D allows you to exclude selected cookies, programs or extensions from being reported, allowing you to prevent false positive messages for items that you dont want to be alerted of every time. It can even scan your download directory for files that have been downloaded, but not yet installed, allowing you to detect unwanted programs before you even install them. 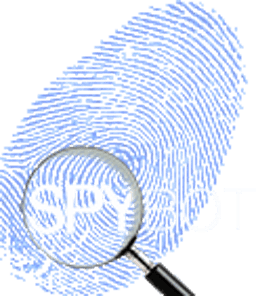 SpyBot produces a detailed and easy to understand report before it deletes any files and allows you to deselect any item that you do not want to be processed. In addition, a recovery feature allows you to restore your settings if needed. We at Safer-Networking Ltd. are pleased to announce the release of version 2.6 of our popular anti-malware software ‘Spybot – Search & Destroy’. This version contains not only bug fixes but we have also improved security using Extended Validation (EV) Code Signing Certificates. We now offer full support for Microsoft SmartScreen and users will no longer receive warnings of possible Live Protection and Security Center Service conflicts. If you were affected by these issues, we would like to apologise for any inconvenience and hope that you will benefit from this upgrade to the latest version. This version is recommended for all users of Windows 7 and above. If you are a user of our software it is recommended that you upgrade to this latest version in order to avail of these new features.